Brain puzzle. 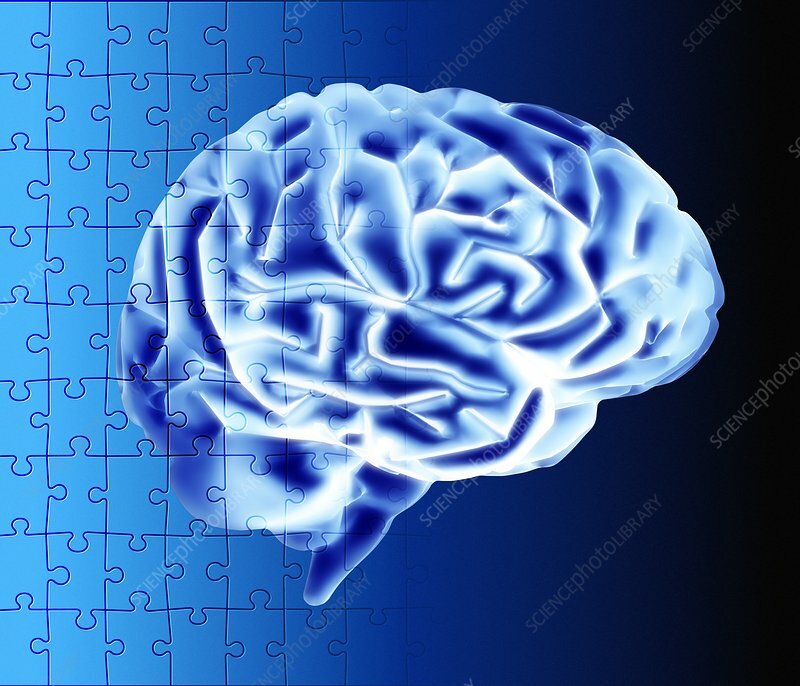 Conceptual computer artwork of a human brain overlaid with a jigsaw puzzle pattern. This could represent research into a poorly understood brain condition such as Alzheimer's disease, or fundamental research into the workings of the mind.